Blame it on Tito’s. The craft vodka from Austin, which grew from obscurity 20 years ago into one of Texas’ most popular spirits brands, has inspired a widespread passion for Texas-made firewater. That includes bourbon, which contrary to popular belief, doesn’t have to come from Kentucky—but does have to be made in the United States. Wed-Sun, $10 per person and $20 on Saturday. Opens Tue-Fri; private tours are available by appointment and public tours begin in April for $10-$15 per person. Saturday tours are available at the downtown location, 901 Vickery Blvd. Its all-American appeal notwithstanding, not everyone im-mediately gets what’s so special about bourbon, which often tastes intense but pleasantly so, giving off the notion of oak and the idea of sweetness, like caramel, with lots of implied spice. Bourbon presents a fun journey of discovery, and it turns out that some of the best brown elixir around is made right here in Texas. 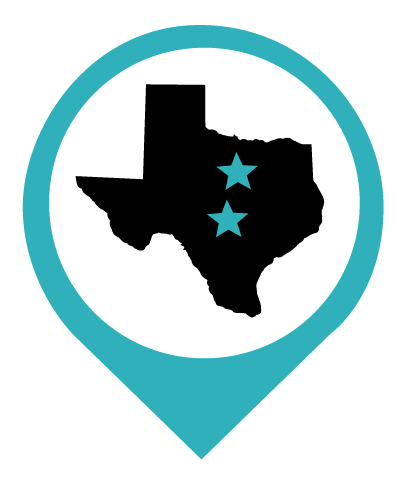 Garrison Brothers in the Hill Country hamlet of Hye, and Firestone & Robertson Distilling Co.’s Whiskey Ranch in Fort Worth both warrant road trips for touring and tasting experiences. In 2005, Austinite Dan Garrison opened his eponymous distillery in the ranching community of Hye, about a 20-minute drive east of Fredericksburg. On a tour, the folks at Garrison Brothers deliver education with a folksy, laid-back attitude. My tour group gathers around the rustic visitor’s headquarters, and we help ourselves to a Texas beer or a glass of wine before climbing on the back of a hay wagon for a short ride up a hill. Soon, we arrive at a cluster of buildings housing the distilling, barrel, and bottling operations. Master distiller Donnis Todd is on hand to talk about the process, and right away, he establishes bourbon’s identity for us: A whiskey is bourbon only if it’s made in the United States with at least 51 percent corn and is aged in new, charred-oak barrels. (By law, “straight” bourbon must be aged at least two years.) Todd’s distilling team uses organic corn from the Texas Panhandle, organic Texas wheat, and barley from the Pacific Northwest, Canada, or the Upper Midwest. At Garrison Brothers, a recent release called Estacado receives additional aging in port barrels from Llano Estacado Winery near Lubbock. Walking into the humid fermentation room, we inhale a pungent whiff of CO2 created by the liquid bubbling in giant vats. Then we take a gander at the two copper stills where a single batch of bourbon is made at once. The stills produce a high-proof, clear spirit colloquially known as white dog, which is eventually diluted and aged in charred-oak barrels. Garrison Brothers produces varied bourbons in barrels given different treatments; Todd tells us about a recent release called Estacado, which receives additional aging and nuanced flavor from time spent in port barrels from Llano Estacado Winery near Lubbock. Later, back at the log cabin where the tour first gathered, it’s time to taste flagship pours, as well as specialties like the Estacado. That’s also where we buy Garrison Brothers T-shirts and Texas cookbooks, as well as bourbon by the bottle. Up in Fort Worth, another visitor experience awaits at the new Firestone & Robertson’s Whiskey Ranch, a 112-acre spread occupying the former Glen Garden Country Club. In 2010, owners and bourbon connoisseurs Leonard Firestone and Troy Robertson opened their distillery in a Prohibition-era railroad warehouse in downtown Fort Worth. Demand for their blended whiskey, first produced in 2012, and their bourbon, which debuted in late 2016, exploded in ways they never imagined. Wanting to dramatically expand their production capabilities, they bought the historic Glen Garden Country Club—where icons Byron Nelson and Ben Hogan learned to play golf as young caddies—for the new F&R home. The grounds sit atop four deep wells, pulling water from the Trinity and Paluxy river aquifers to mix with Lone Star corn and wheat, as well as pecan yeast from a friend’s Central Texas ranch. Contrary to popular belief, bourbon doesn’t have to come from Kentucky, but it does have to be made in the United States. I pull through the property gates and head up a winding drive to a collection of buildings clad in reclaimed woods, Texas limestone, and corrugated metal. 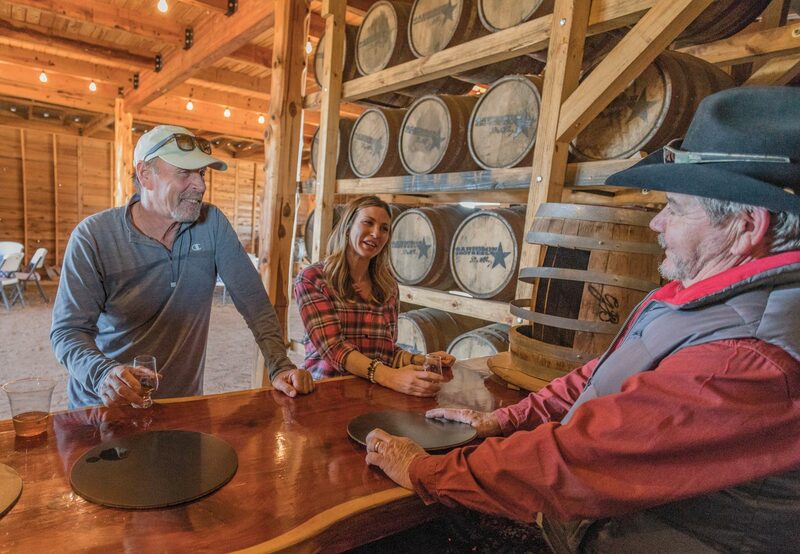 Tours begin at the Ranch House, where visitors can buy souvenirs and bottles of whiskey and bourbon in the retail shop. That’s also where guests can make their own copies of the F&R signature bottle top, which uses leather scraps from Leddy’s, Justin, and other famous Texas bootmakers. 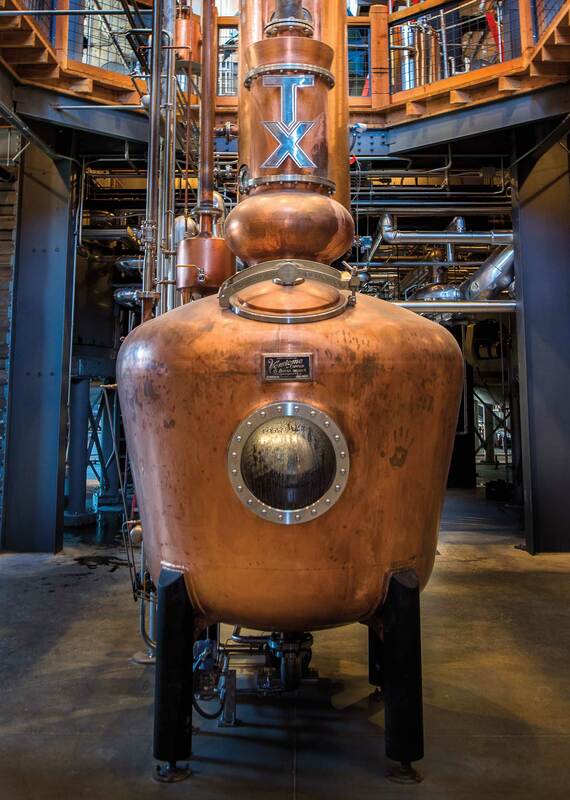 The majority of tour time takes place in the Still House, a few feet away from the Ranch House, where we walk through 20-foot-tall sliding barn doors and gape at the massive, 45-foot-tall copper still. Two glass portholes allow a glimpse of the cooking process inside, and two staircases wrap around the soaring still, leading us upstairs for a bird’s-eye view of the sprawling production facilities. Though the nearby Barrel House isn’t part of the tour, it’s impressive to learn that storage in that building accommodates 20,000 barrels and that five barrel barns will eventually house 100,000 barrels of aging whiskey and bourbon. That, Firestone and Robertson say, will make this the largest distillery west of the Mississippi. For now, F&R can turn out 40 barrels daily, a big jump from the three barrels still made daily at their operation downtown. Because the distillery’s TX Straight Bourbon is aged for about four and a half years, its production is just about 15 percent of F&R’s total. Back at the Ranch House, guests hang out on a wrap-around deck with a pair of oversize limestone fireplaces, taking in the lake views. Adjacent to the deck, The Tavern features trophy cases full of old Glen Garden golf memorabilia, plus awards the distillery has won. Bellying up to the bar, where bartenders whip up Manhattans, old-fashioneds, and other cocktails, I order a glass of TX Straight Bourbon, neat. Wandering out to the long courtyard, I take in the sweeping westward view of downtown Fort Worth skyline across a ledge of treetops. Yet another oversize fire pit, surrounded by burr oaks and Chinese pistache trees, provides just the place to toast the sunset with a glass of my favorite Texas spirit.